What can I say? 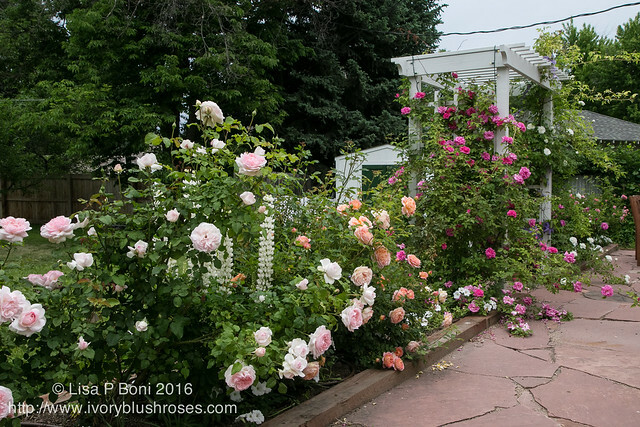 The garden ~ the roses ~ simply glorious! 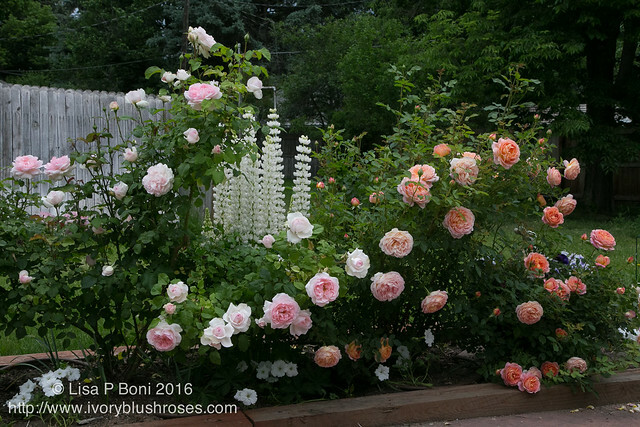 I love the drift of roses framing the lupine! As well as the bunny in my mother's cauldron! 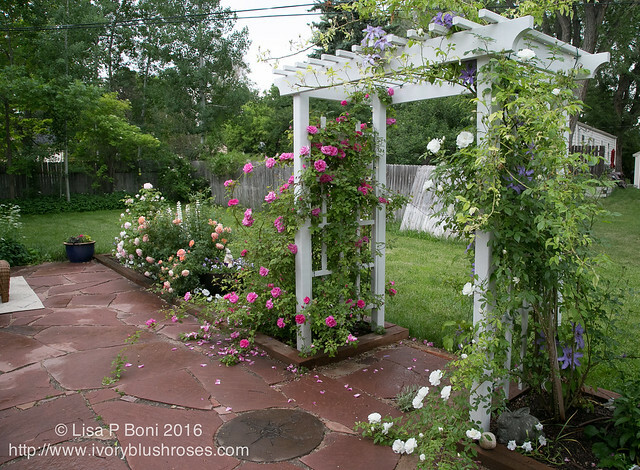 Walking out onto the back patio is to walk into a space where the air is saturated in the scent of roses! From every angle, it just astounds! So lovely! 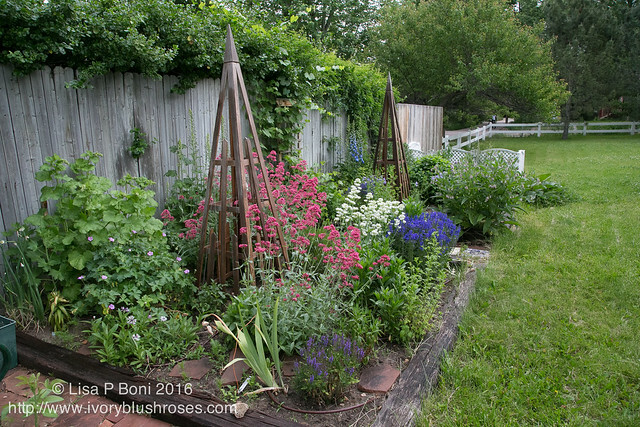 What a gift this garden is! Just beautiful! I can't get over it! In my wildest dreams, I never imagined it would be as beautiful as this! 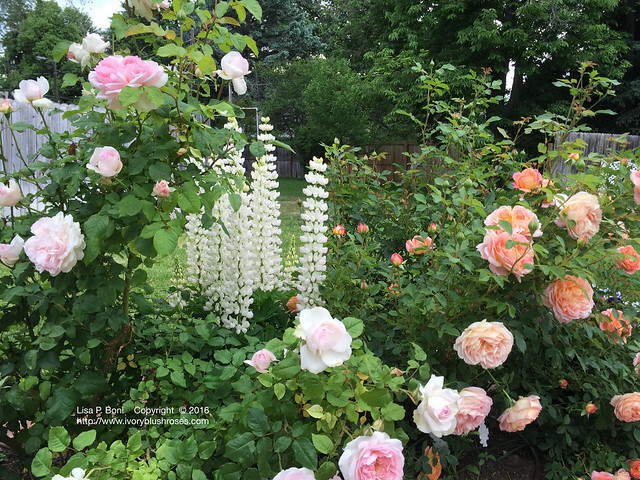 Truly a lovely gift from God, who brought them all into bloom at the same time and mingled their lovely scents into the most perfect perfume! The side garden continues to grow and look lovelier by the day as well! Those gloomy grey skies bring the moisture and temperatures that have brought everything into such a wondrous state this year! And amazingly, the mosquitos, which were already miserable by this time last year, have been few and far between! I'm hoping for a sunny morning so that I can get out into the garden and paint! Today, I had a warm up exercise with one of the lessons from my painting workshop. 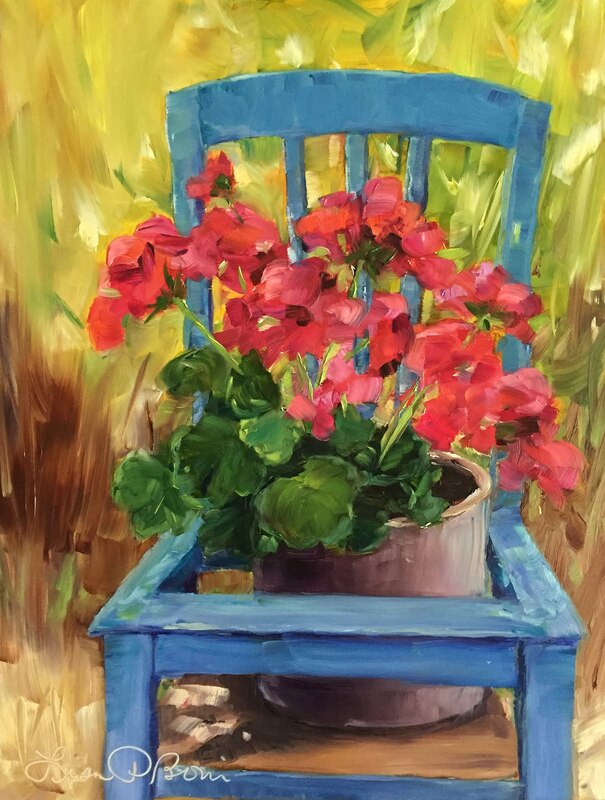 I'm learning so much from Dreama Tolle Perry and her Dream Love Paint workshop! It is a completely different style of painting than I have done before and it's helping me to lighten up, brighten up and loosen up! All three of those are goals which I hope to achieve in my painting this year! Looking forward to seeing how these skills translate when painting my own work rather than that of someone else's. Your garden is so beautiful. Glad that late snow didn't do damage. 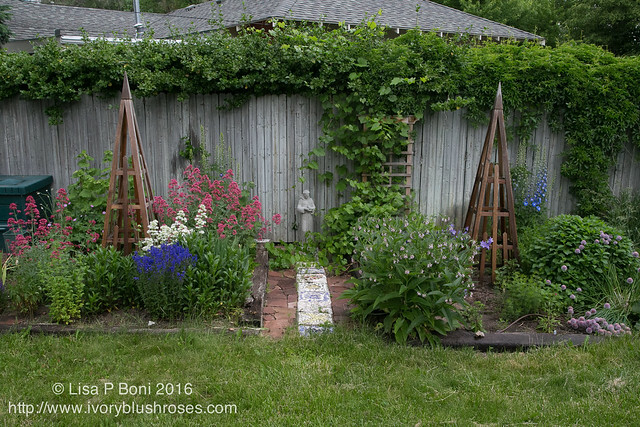 your garden looks wonderful - all that hard work last year has certainly paid off! Your garden is amazing and something to be proud of. Beautifull garden. Congratulations, enjoy it!!! Oh so BEE-U-TEE-FUL!!!! 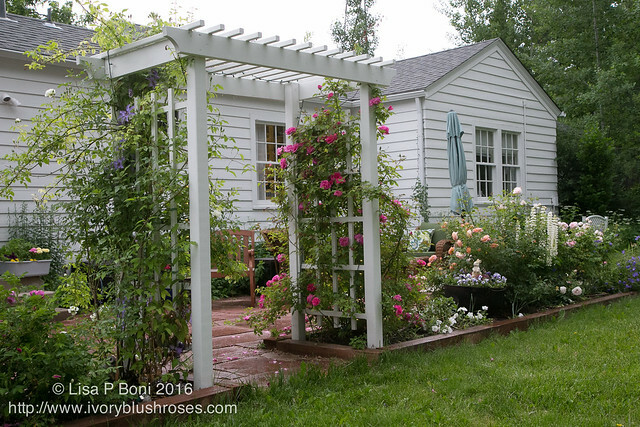 It looks right out of a garden magazine, and the main feature to boot. Glorious indeed! 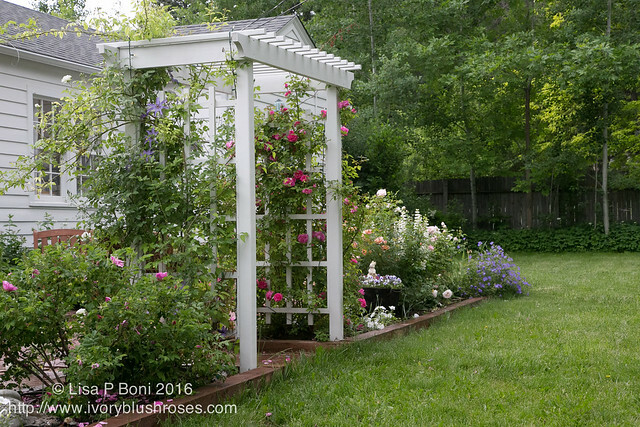 What a perfect way to describe your beautiful gardens! Lisa, Your garden is so gorgeous. I know how hard you worked to clean up and plant everything. I'm so happy that it is thriving and blessing you with its beauty. 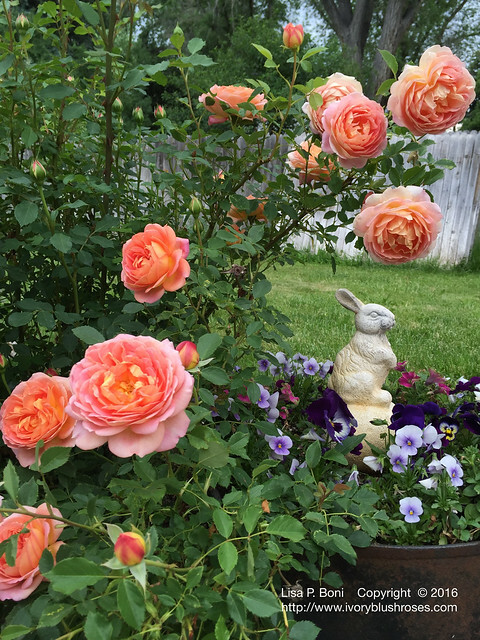 Thanks for sharing the photos of your gorgeous roses.